From Emdad Rahman’s blog: All in a Day’s Work. Our thanks to him for this story. IFE shadwell unit recently organised an area badminton tournament to promote sport and healthy living within the community. Amongst the organisers were the Shadwell unit chair Saleh Ahmed, secretary Shofique Uddin and former councillor and community activist Ataur Rahman. It was a successful event, attended by numerous crowds and members from the borough. 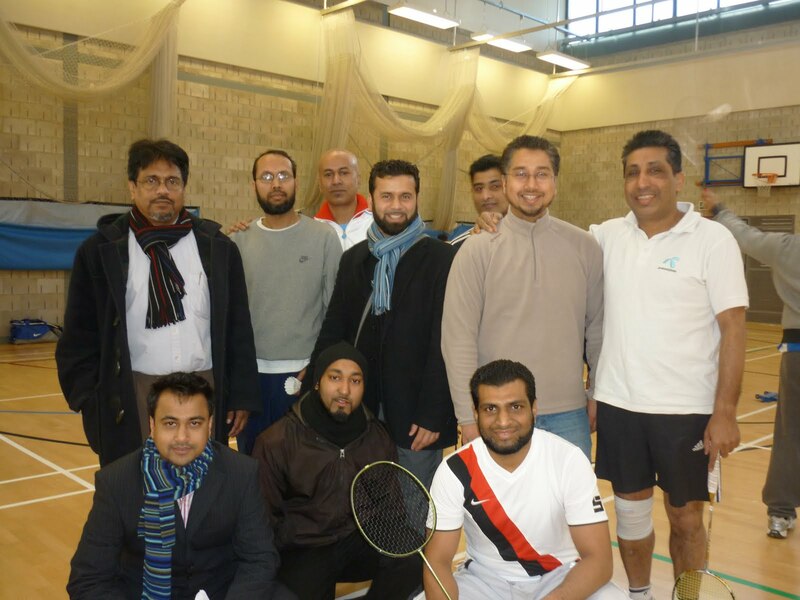 Star player Councillor Harun Miah showed off his repertoire of badminton skills as he took part in the competition. Councillor Abjol Miah (Respect prospective MP candidate for Bethnal Green and Bow) was invited to attend as an honorary guest, along with his party colleagues Councillors Harun Miah (Shadwell), Councillor Mamun Rashid (shadwell) and Senior Respect party Members Mahbub (Mamun) Alam, Shah Shuhel, Shofiqul Islam (shishu), Abul Hussain, Abdul Malik and Shahar Ali (Imran). Councillor Miah congratulated the organisers and spoke highly of the event. “I’m delighted at seeing the community engage in such activities and urge others to encourage the youth to particpate in sports like this to channel their energy in a positive way” he said. Councillor Miah also mentioned that with the Olympics around the corner, he would support the Bangladeshi community getting involved in this major world showpiece event. “As they constitute a large number of this borough I hope athletes from Bangladesh will utilise the superb facilities on offer in preparation and participating in this magnificent spectacle in 2012,” he added.